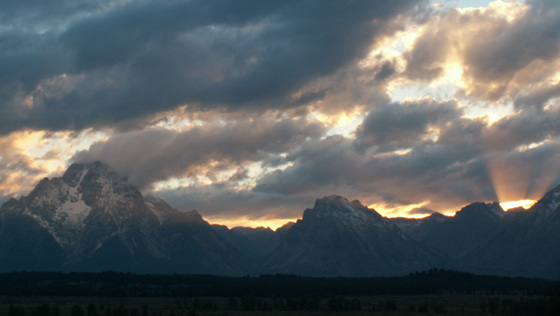 Grand Tetons is the main page about the De Anza Outdoor Club trips to Grand Teton National Park. photos below by Quang-Tuan Luong/terragalleria.com, all rights reserved. Where people stay is up to each person. It can be difficult to coordinate timing of activities if we don’t all stay in the same area, so we’ve all stayed at Colter Bay for at least part of the time on previous trips. , Grand Tetons kayaking, Grand Tetons sightseeing and Cascade Canyon, Grand Teton National Park have descriptions of kayaking we hope to do, the places we hope to see and a (long or short, your choice) hike we want to take. 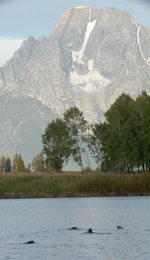 If you want to go kayaking or canoeing with us on this trip you MUST read Grand Tetons kayaking . Was that a wolf or a coyote? 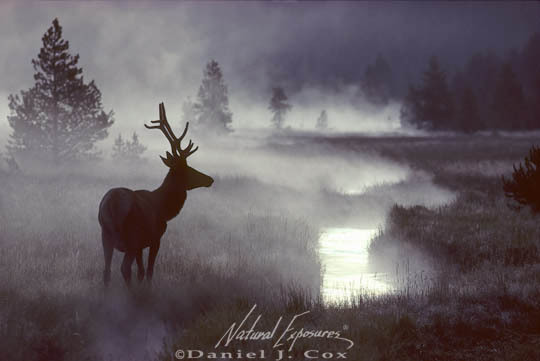 An elk or a moose? Grand Tetons biking is not an official part of the trip. This page has rules, advice and suggested routes, links to maps, in and out of the park for mountain and road bikes. Grand Tetons whitewater rafting is not an official part of the trip. You will r e a l l y want your own binoculars. Don’t bike or jog/run by yourself, it is safer to bike in groups since there are very large, potentially dangerous and unpredictable animals potentially everywhere. Data suggest that rates of sudden encounters with bears are much higher among cyclists than hikers. Grand Tetons biking includes statistics about cyclist encounters with grizzly bears. you see a bear in the distance or a bear charges you and has info about Bear Pepper Sprays and what might happen before a bison charges. If you have decided you are going on this trip, reading a step by step description ofloading kayaks on the De Anza trailer will make the job go easier. Bears has links to general info about bears, then practicalities of camping and backpacking around bears, (food storage, what to do if you see a bear). 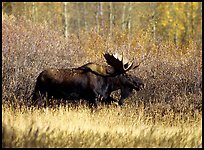 Jackson Hole, Wyoming has a description of the main streets and how to find the Albertson’s, K Mart, Ace hardware, Teton County library, St John’s Medical Center, city parks with sand volleyball and/or tennis courts and more.